Discounted Appliance Warehouse serves customers in Greenville, SC, Spartanburg, SC, Anderson, SC and the surrounding areas with a wide variety of new freezers and refrigerators. We are sure to have the appliances you need and in a brand that you know and trust. Upgrade your kitchen with a fridge from our collection of new refrigerators and freezers. Different versions and variations make it easy to find a model and style that fits your kitchen or garage, in colors like steel, white, black, and bisque. 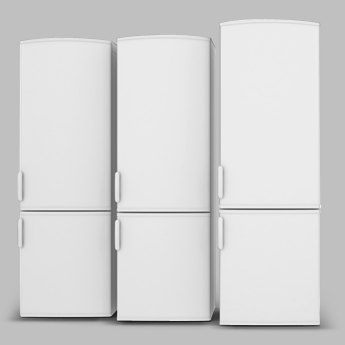 We carry top freezer, bottom freezer, French door, and side-by-side refrigerators that range from 18 to 30 cubic feet.